"Ed Primoff is truly a man for all seasons. 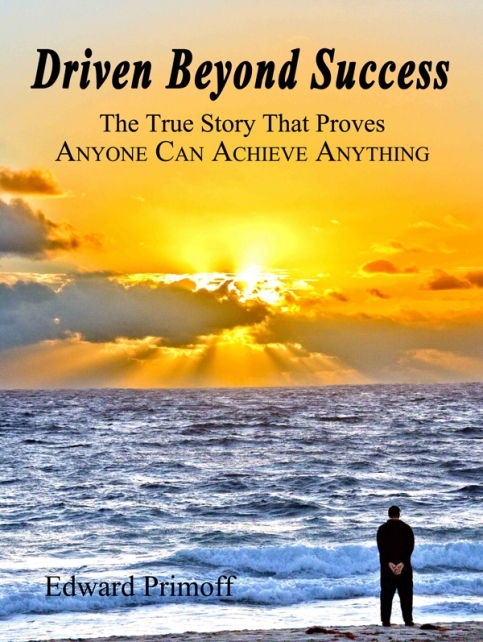 In this remarkable autobiography he recounts how he was able to overturn countless obstacles and tribulations and achieve success in an incredible variety of unrelated fields. He shares the important lessons that he has learned over a lifetime that enabled him to adapt and win ..."
The Honorable Ellen Sauerbrey, Former Ambassador to the U.N., Assistant Secretary of State. "This great book should be an inspiration to anyone, adult or child, who has ever been told that they can't do or accomplish something. Ed Primoff has shown, through the story of his life, that determination can overcome obstacles that others think are impossible. I could not put the book down and can't wait for part 2 to come out." "This is an inspiring as well as fascinating and immensely entertaining autobiography. As an added plus, it is accompanied by incredible photos documenting the events and people discussed. By the end, you will have thought of a dozen people with whom you not only want-- but need --to share it!" Joyce Pope, Judge of the Orphans Court, Ret. "This book will run you through many emotions; from tears to cheers, with many laughs throughout. Ed's life story is of a common man accomplishing uncommon goals against tremendous odds. His many adventures will keep you turning the pages." "Ed Primoff's book is a great read. More important, he shows that there is hope for the rest of us." Peter Scop PhD, Athol Mortgage Corp. President; Senior Analyst, the Defense Intelligence Agency Ret. "Compelling, inspirational and one of the best books I've read. A must read for everyone ..."